Indian snacks are often served with two chutneys – one green and one darker brown (tamarind) chutney. 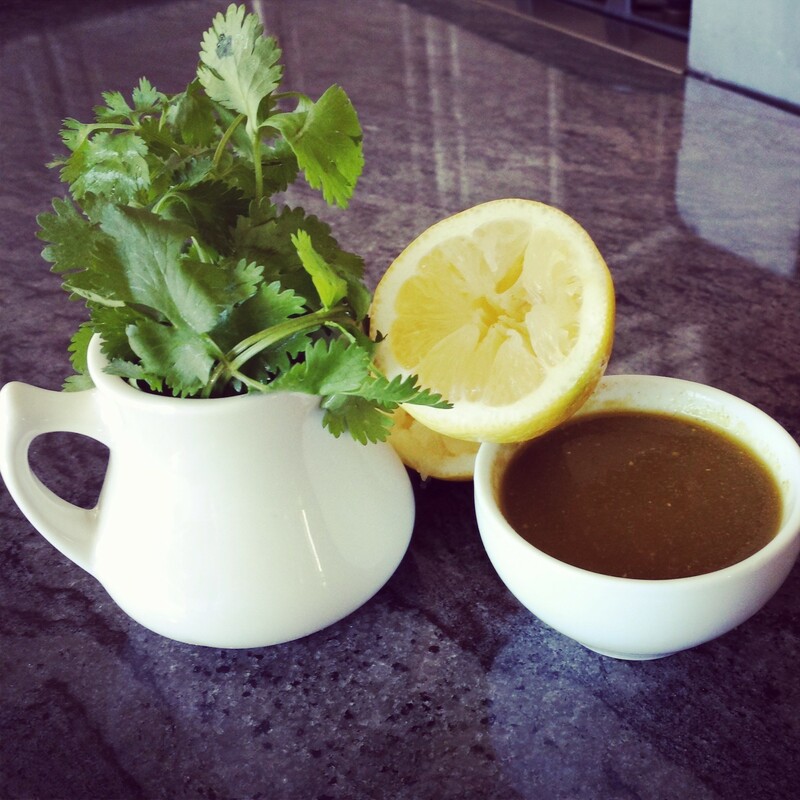 This is my recipe for a beautiful, spicy green chutney that you can use as a dip, sandwich spread, or even use it in soups for added depth of flavor. Enjoy! Place all ingredients and liquefy in a blender until you get to a smooth, paste-like consistency. Store in the fridge for up to one week, although I prefer using fresh chutney as the flavors are always superior when you first make it.